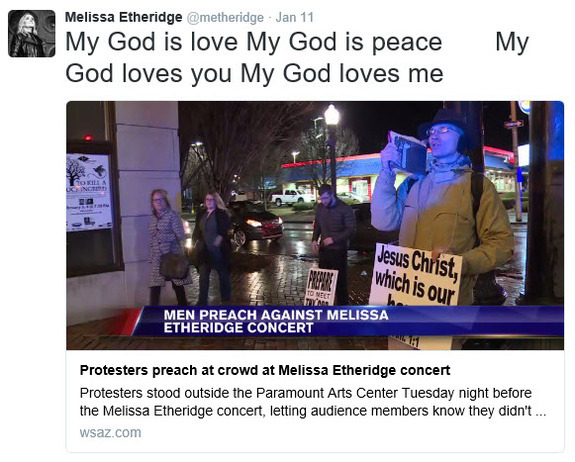 You are here: Home / News / "I Believe People Are Good"
"I Believe People Are Good"
On Tuesday, January 10, Melissa had a concert in Ashland, KY. As concert goers arrived at the venue, two men with signs preached to them, warning of eternal damnation for attending the show. Read more about it in the article here. 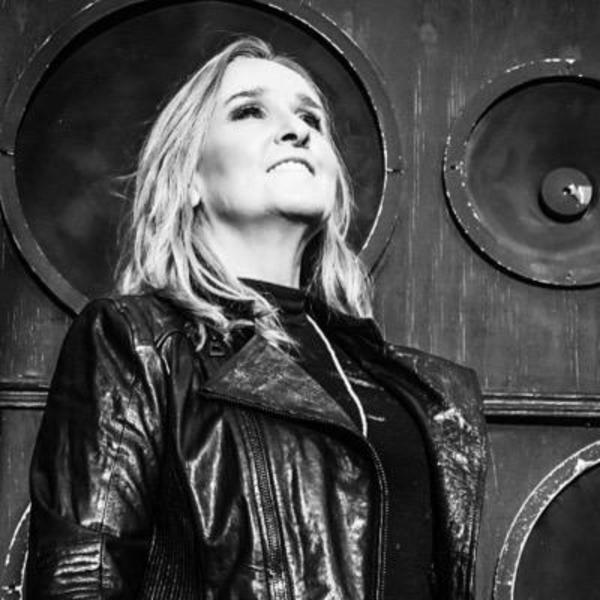 Melissa preaches love, her music uplifts us, she is about truth, strength and peace. 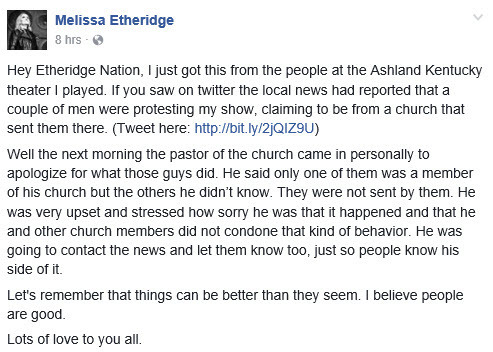 I'm so glad the pastor reached out. It proves there is lots and lots of good in this world.